Locksmiths are genial people. They’re so kind that they’ll drive to your house just to open the door for you. Of course, you have to call them first and tell them you locked yourself out. After you get past that embarrassing moment, you’ll be glad you got to know this friendly, professional technician who is on call 24 hours a day. What Can a Locksmith Do That I Can’t Do Myself? A lot of people like to think that they can install adequate locks and properly secure their homes all by themselves. While this can be an initial money saving plan, it is by far the most unsafe option you could choose. Locksmiths have been providing security to residences for hundreds of years, and, as a result, they tend to know more about locks than an aspiring do-it-yourselfer. A trained, professional Locksmith should be able to do all of the following: install locks, deadbolts, and mechanical (manual) or electronic locking devices; modify and/or repair these devices; rekey locks; and produce or program new cards or keys to replace lost items. A locksmith should also be available to respond to emergency calls when customers are locked out of their homes or cars through either forgetfulness or lock malfunction. Locks are probably the best and most basic security item to start with. “Most basic” these days does not, however, mean easy for would-be thieves to get around. It simply means that they are relatively simple to install as well as cost-effective. A residential locksmith can come to your home and assess what type of locks are best for your home. They will take into account all points of access to your home and its outbuildings, as well as any interior security needs. Deadbolts: A deadbolt is a lock bolt, usually rectangular, that has no spring action and that becomes locked against end pressure when fully projected. These are the most common types of secondary household bolts. Electronic Locks: Electronic locks are more varied, as they can come in the form of keypads, fingerprint entry, card access, electronic key access, and many others. If you have the budget, then these are a great investment. They are ideal if you have especially valuable items in your home like antique furniture or an art collection. Mortise Locks: Mortise locks are locks that fit into a pocket cut into the end of a door and are held in position by screws through the fore-end. These locks are usually more ornate and decorative and require a locksmith who is also familiar with woodworking. Padlocks: Padlocks are detachable locks with a U-shaped bar hinged at one end, designed to be passed through the staple of a hasp, or a link in a chain, and then snapped shut. Padlocks are often used on outbuildings like storage sheds or pool houses. Decorative hardware means anything from cabinet hardware to gate hardware, doorbells, and about a million more things. More often than not, any locksmith will offer decorative hardware to go with your fancy new mortise locks. Decorative hardware, while a seemingly superfluous item on the list of home security items, is just as important as your deadbolts. If you have an excellent deadbolt, but a handle that is easily broken, then it’s possible for an intruder to unlock your deadbolt from the inside. You want high quality materials protecting your home, so why not go ahead and purchase the ones your locksmith suggests? House Locksmith Las Vegas are equipped to handle even the most advanced systems that incorporate facial-recognition technology or retinal scanners. Do you have expensive jewelry? Maybe you collect coins, stamps or other small valuables. Even if you just keep crucial papers or work product at home, you want some secure place to hold them. A locksmith in California can offer you several options for safes. They can install these safes and even crack them if you forget the code or combination! If you have larger valuables, an in-home vault is also a security option. 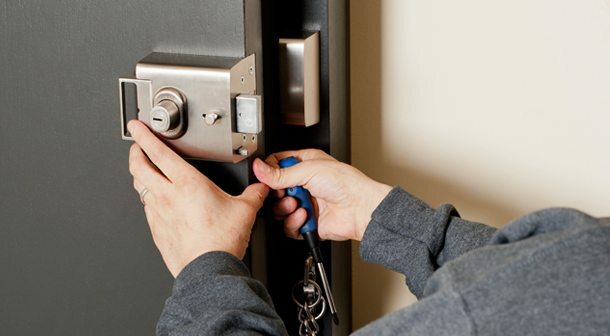 Most residential locksmiths perform the same functions as commercial locksmiths, that is, they secure property and buildings and the items therein. Commercial locksmiths more often deal with high-tech locks like card-key systems, electronically coded locks, and even biometric locks. But the double-sided padlock is as much a staple of the commercial locksmith as the residential technician. A commercial locksmith can also perform security assessments of your business, and they can respond in an emergency. Automotive locksmiths deal with a slightly different set of puzzles at times. Very few cars have plain old lock-and-key systems. At the very least, the locks are remotely controlled and most cars’ computers are programmed not to start the vehicle unless the operator has the correct electronic chip along with the key. Despite some differences with commercial and residential locks, however, locksmiths can almost always rekey, repair, open or replace automotive door and trunk locks and even replace the ignition cylinder. All of these products and services are available at any local locksmith. Your security system needs to be as up to date as possible, to protect your family and your property. What’s the best way to keep you and your loved ones safe? Contact a locksmith; they’ll be right there with you to secure your home so that you never have to worry.